One of those unfortunate signs of getting older is waking up stiff and sore. If you typically experience back pain from “sleeping funny” or even when sleeping in what should be a comfortable bed, there are things you can do ensure that you wake up feeling refreshed and ready to start the day, not in pain and searching for an ice pack. 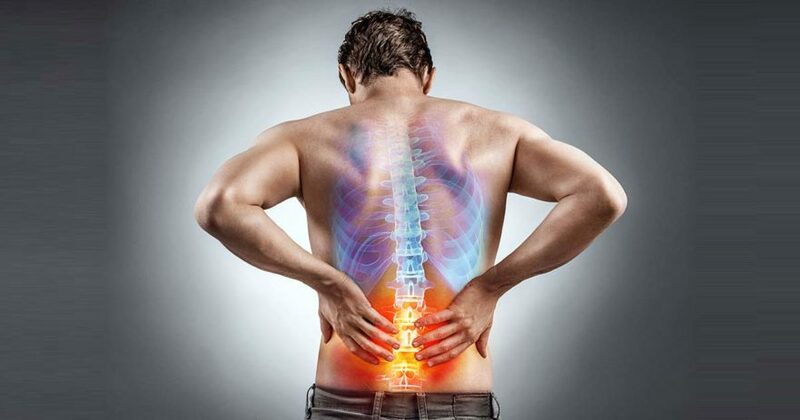 Your sleep-induced back pain is likely caused by a misalignment of your spine. Most of us don’t have perfect posture and our activities throughout the day can begin to tighten muscles in our backs that result in pain while we sleep. For example, sitting all day can cause the muscles in the hips to tighten, leading to an over-curvature of the spine around the lower back. Or slouching might cause the muscles in the shoulders to tighten, resulting in pain in the upper back. Certain sleeping positions can exacerbate this tightness. The fetal position that many of us find most comfortable tends to introduce more curvature to the spine and too much straightness to the legs. Sleeping on the back can cause the lower back to arch. Sleeping on the stomach can push the hips back, leading again to curvature of the lower back. All of this stress on the spine and surrounding muscles can lead to tightness and pain upon waking up or even during the night.